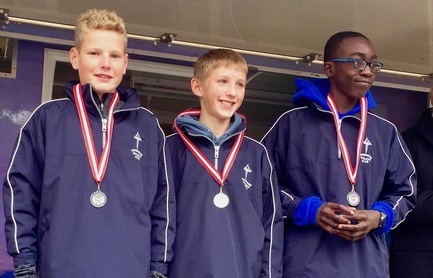 Under 13 Boys - 1st Team. 1st Matthew Taylor, 2nd Fin Croll, 3rd Olukorede Fasina. 20 runners a record. Under 13 Girls - 2nd Team. 2nd Maddie Wise. Some photos below and more on Facebook page Mark Hookway. 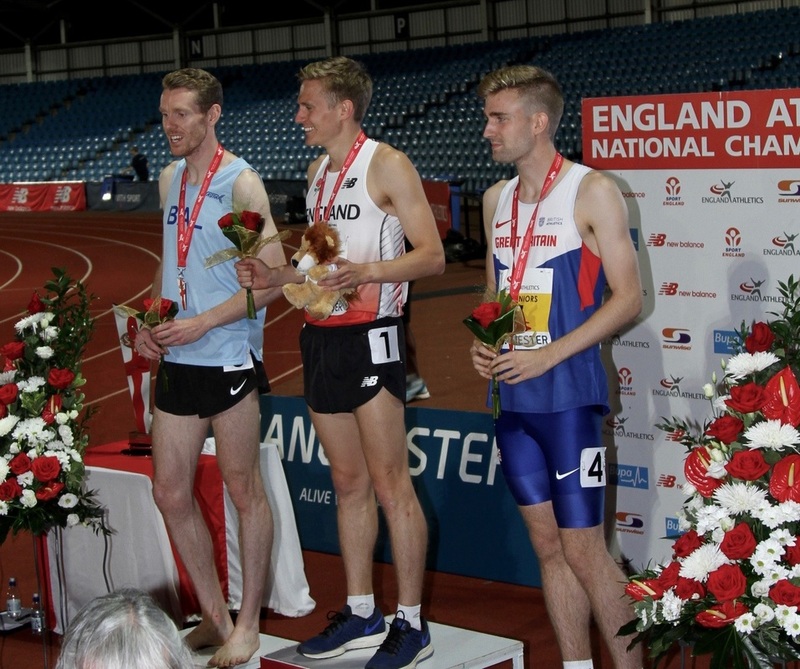 Ben Reynolds has won the World Masters 5000m in 16.01.64, competing in Perth, Australia. Ben won by twelve seconds in the end, pulling away over the last kilometre. It's Conference Championships weekend in the USA, although Flotrack are not screening any of those featuring the TAC runners. 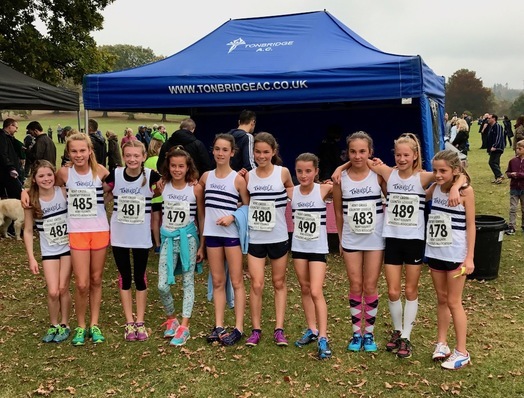 Ian Crawley updates us all about results from the first Kent Cross Country League on the Fantasy League page. The FL team are also offering a late entry option, which gives the advantage of knowing more form, but the disadvantage of missing out on first round points. See my email late on Thursday evening. 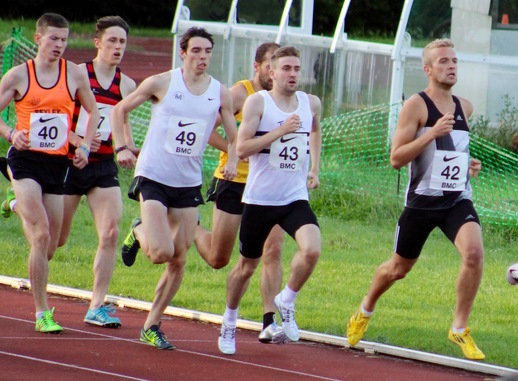 Have some fun getting your entry in at Saturday's Kent League and help raise some club funds. 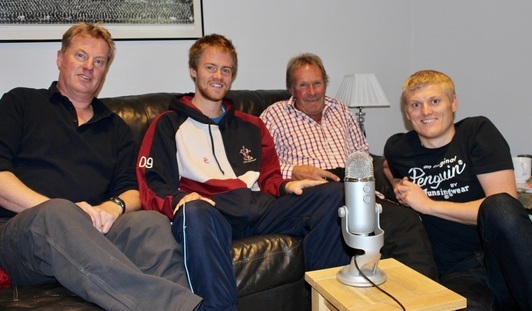 As there is an absence in the market for athletics based podcasts, four of us got together this week to try something new. The idea is to simply air some commentary and views on topical subjects within our sport - athletics and distance running. Hopefully, it will create a bit of interest and maybe evolve, but certainly we aim to give a bit of coverage to the sport and cement links to other clubs and personalities. ​The full table is on the parkrun page. Miles Weatherseed had an excellemnt run to place 6th in the mens race. Full results are on the Results 2016 page. 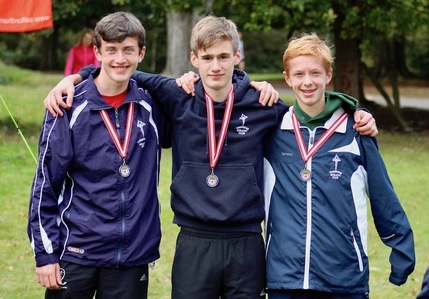 Charlie Joslin-Allen represented Cardiff Met University as they finished third in the Welsh Cross Country Relays. Charlie ran 11.24 for the 3.5km loop and is continuing a comeback to full fitness. Ex TAC member Huw Evans ran the first leg for the Les Croupiers AC masters team. 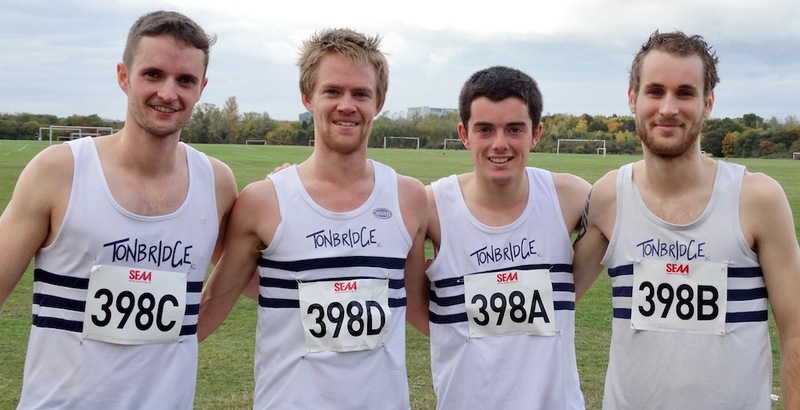 A TAC senior mens team of Jamie Bryant, James Taylor, Dan Bradley and Harry Paton placed 9th. We haven't attended this relatively new championship since it would mean so many being asked to race in a lot of consecutive weeks. The mens result is on the Results 2016 page. Dom Brown was given 15.27 as his time for the Rother Valley parkrun, which was just one second outside the course record. Analysis of the training is on the Training Completed page. North Midlands League at Derby - Chloe Bird finished 8th and Kiri March 19th, both running for Nottingham University. Senior Men - 2nd Max Nicholls (race won by Jake Berry on Medway & Maidstone). Team 2nd and won 12 to score. Senior Women - 1st Nicole Taylor. Team 3rd and 2nd in 6 to score. 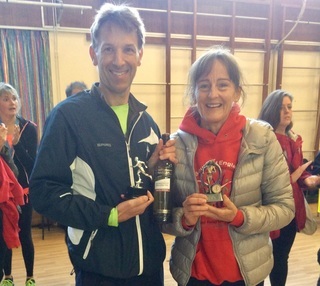 ​Total 108 TAC runners is a Kent League record. 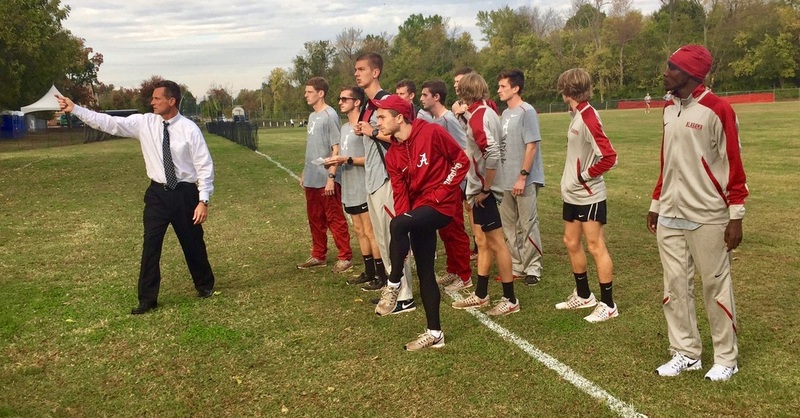 Robbie Farnham-Rose had probably his best cross country performance yet, whilst in the USA when he finished 6th in the Crimson Classic, at Alabama. Robbie ran 24.38 for the 8067m course. Robbie Farnham-Rose - at Crimson Classic, Tuscaloosa, Alabama, on Friday. Event starts at 9am (3pm UK time). Not certain of exact start time for Robbie's race. Henry Pearce - at Wisconsin Invitational, on Friday. Race start is at 1.20pm (7.20pm UK time). This is being shown live on Flotrack Pro. Ryan Driscoll and Luca Russo - at Adidas Pre Nat Invite, Indiana, on Saturday. Race is at 11.35am (4.35pm UK time). This is being shown live on Flotrack Pro. 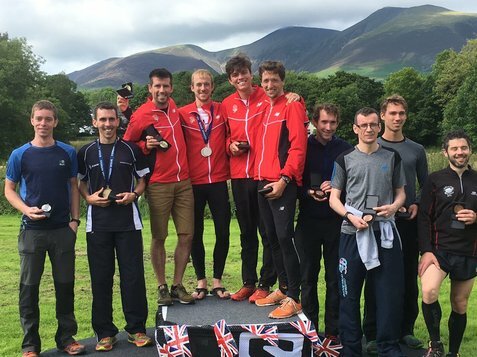 It was the first National Championships of the year and I think most came away encouraged by how competitive the TAC teams were, taking three bronze medals and placing fourth in the senior mens race. 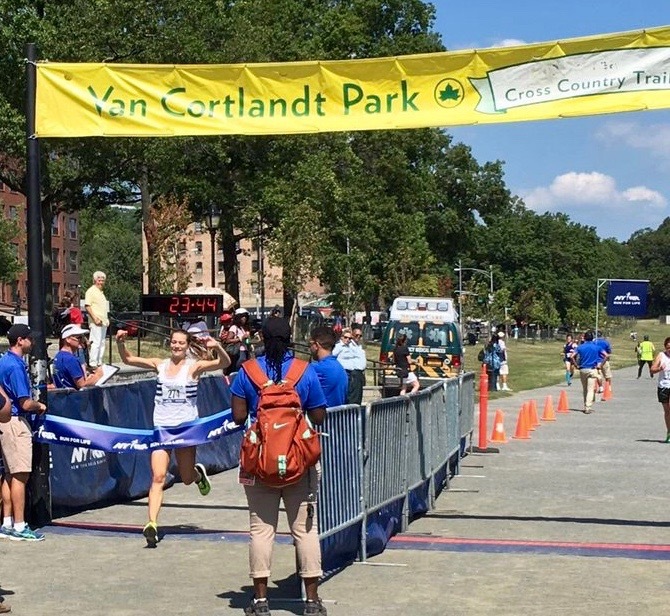 The team was hit by illness to two runners the day before, but it was positive that we were still able to complete a team for only the third ever time. Nicole Taylor ran the fastest ever TAC lap of 14.55, which was 20s faster than two years ago. A bronze medal might not have been expected before the day, but we were actually leading going into the final leg. James Puxty ran 11.42, which was the fastest lap of the day and went third on the TAC all time list (you can see previous stats under history). The impressive stat here was that we had the first C and D teams home, demonstrating the good depth in this age group. TAC didn't have a team in this event, which was the first time that we havent fielded a squad in one of the six young athletes races for ten years. Perhaps the biggest surprise of the day was the performance from our under 15 boys of James Kingston, Toby Emm and Fraser Gordon. They each ran almost half a minute quicker than I anticipated to take the bronze medals. Like the Under 17 men this is a good squad in depth and we had a bunch running similar times. The 11th place by the A team, equalled the best TAC placing this century, whilst Katie Goodge's 14.06 was the quickest ever by a TAC runner. 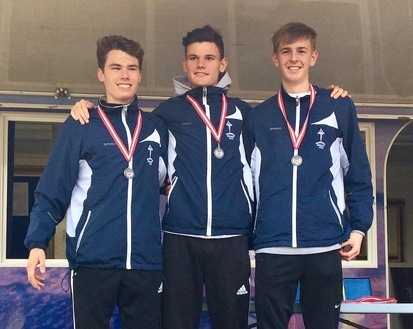 A very solid performance by all three of our runners to win the bronze medals, which were our first medals in this race for four years. The attitude of our girls in the under 13s is excellent and they finished 16th from 70 starting teams. 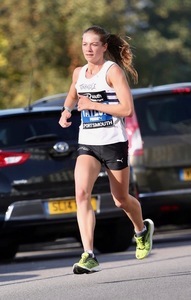 Jamie Bryant was first home at a parkrun just outside Ipswich and ran 16.39. 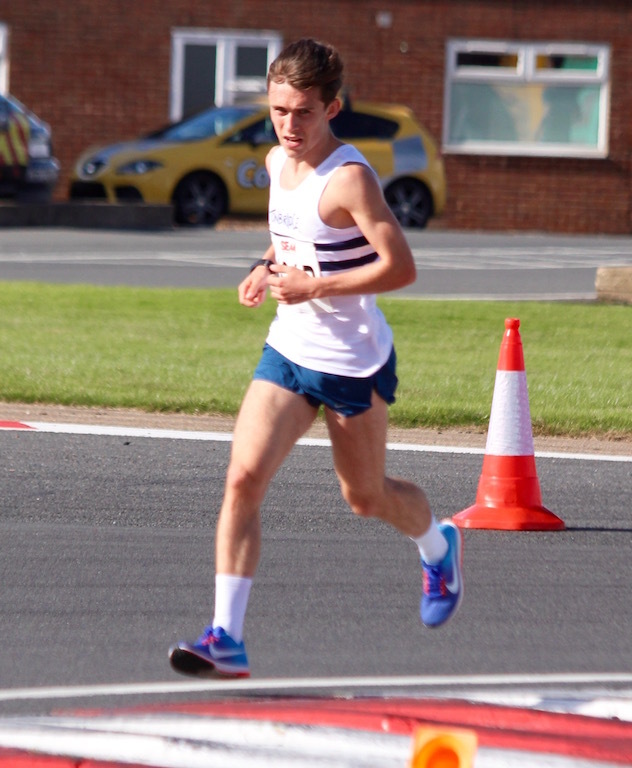 ​Joe Watts ran 39.46 to finish 43rd at the Plymouth 10k road race, on Sunday. 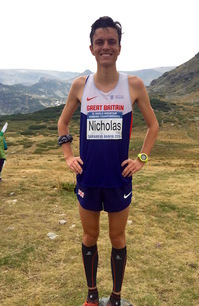 This featured plenty of TAC runners, who are at both Judd School and Sevenoaks School. These races featured plenty of TAC athletes (no doubt I havent highlighted them all) from various local schools. See the Results 2016 page for details of both. Mark Pitcairn-Knowles has announced details of the TAC Winter parkrun Grand Prix, which are on the parkrun pages. Results of Mondays schools races are now on the Results 2016 (some names corrected from the official results). 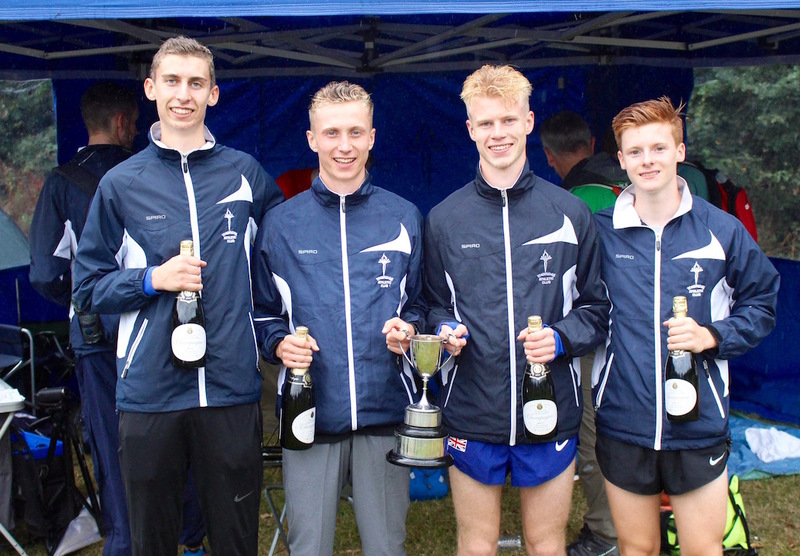 There were four races and all were won by TAC runners - Matthew Taylor, Maddie Wise, Lizzie Miller and then a three way tie from James Kingston, Adam Van der Plas and Toby Emm, for Judd. 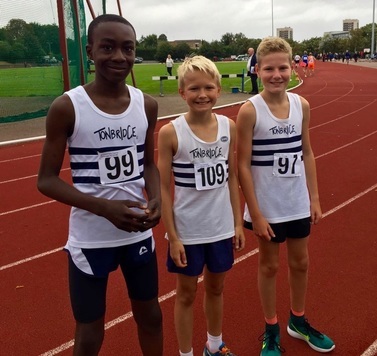 In bright sunny and dry conditions we had the opening junior 1 mile races of the season at Tonbridge School with 31 runners between 5 and 12 years old taking part. Sam Collinson of TAC was first home in the boys race in 6.10 and Penny Horne of St Johns School first of the girls in 6.57. Full results are on the Results 2016 page. Fantasy Cross Country League 2016/17 Launched ! The TAC Fantasy Cross Country League for the 2016/17 season has been launched. Below are the launch details with rules and the entry forms. The first Kent League fixture on 15th October is when it all starts, so please get your entries in before then. What is Fantasy XL league? That seems to be the question on everyone’s mind as Cross Country Season looms. It is a fund raising effort for the club. If 100 people enter 3 teams each we raise £1000 (before prizes). It is a way athletes can measure their performance over the season. Each XC race is different, times are not really comparable, so collecting Fantasy XC points provides some measure of how you are doing. 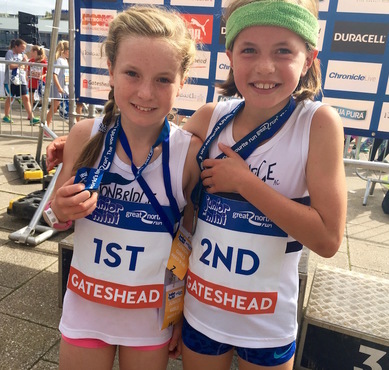 It is a team building exercise, once you have picked your team across the age groups you will develop an interest in other races apart from your own, encourage your athletes to take part and cheer them on in the races. The TAC team spirit is often commented on by people from other clubs and this is a way to enhance it. Finally it is a bit of fun, last year there was lots of banter and good natured competitiveness between team managers as the season ebbed and flowed. There is also competition for who can choose the most cringe worthy team name. This is for athletes as well as friends and family, there is no limit, the more the merrier. There is a list of “seeded” athletes published on the Fantasy XL tab on tacdistancerunners.com together with their prices. All athletes not listed are priced at £1m. You should note that there are more athletes priced at £1m than all the others combined. Don’t be disheartened if you are low priced or not shown on the list, it is an opportunity, because you are potentially a bargain buy for an ambitious team manager. There is a prize at the end of the season for the athlete with the best average i.e. points per million, so low priced athletes potentially have an advantage. There will inevitably be lots of debate over the seeded athletes’ pricing and whether or not there are athletes who should be on the list but are not, but again this presents opportunities for the astute observer to profit from bargains. Highly priced athletes have a challenge to prove themselves worthy of their high prices. You first need to choose a team of 6 with one athlete from each age group. This team goes into the A Team Competition. Once you have done this you can select additional teams with no age group constraint i.e. you could choose any combination of athletes regardless of age. These additional teams can be either 6 athlete teams or 12 athlete teams and will be entered into the B Team and C Team competitions respectively. My recommendation is to go for one of each, which will cost you £10, a bargain when you think of all the fun you will have throughout the year. You may only spend up to £40m on each team, with any unused money being translated into points at the rate of 50 points per million. Points are awarded according to the rules which are set out on the Fantasy XL tab. 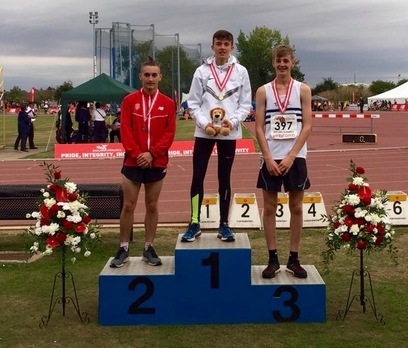 Essentially there are 10 qualifying races throughout the season with points awarded based on turning up to run enough times, race place, race ranking compared to other TAC athletes and any medal winning performances. So research your athletes, fill in the entry form (also on the Fantasy XL tab) and return to James Taylor together with payment and then prepare for the fun. The closing date is 15 October, the day of the first qualifying race, so don’t delay. 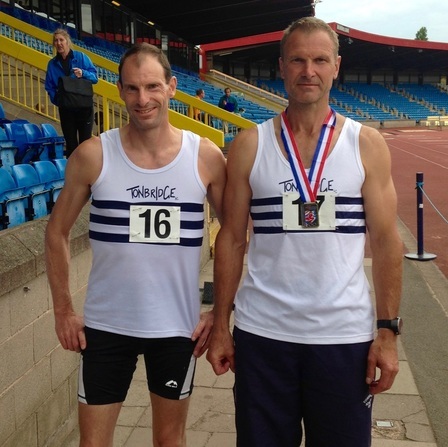 Julian Rendall (74.29) and Dan Bradley (74.53) scored a TAC 1-2 in the Tonbridge Half Marathon. Also spotted were Maria Heslop (81.59) (2nd claim TAC) who won the ladies event, Ollie Kingston (87.56), Sally Musson (97.04), Chris Everett (97.36), Duncan Ralph (1.44.28) and Lucy Pitcairn-Knowles (1.45.02).